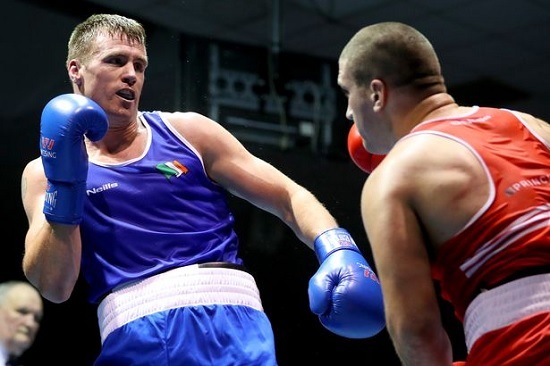 Clonmel Boxing Clubs Dean Gardiner claimed his Senior Elite Super Heavyweight Title against old foe Martin Keenan, Rathkeale at the National Senior Elite Finals held in the National Stadium, Dublin last Saturday night. Dean renewed acquaintances with Keenan, whom he beat in a box off in 2017, in an eagerly anticipated Munster Derby. The Limerick man started at a fast pace with a flurry of punches but Gardiner settled into the bout, catching his opponent with a heavy shot towards the end of the first round with the bell coming just in time for Keenan. Dean dominated the second and third rounds to take a well deserved 5 – 0 unanimous decision. Dean was also very impressive in his semi and quarter final bouts beating Thomas Carthy, Crumlin 5 – 0 and veteran Tommy Sheahan, St. Michaels Athy on a first round stoppage. Dean now has the European games in June to look forward too.